Welcome to the year of the Tiger! Each year for close to 20 years I�ve given forecasts about the year based on the ancient Tao system of Five Elements Phase Energetic that predicts the global trends that affect each of us on a personal level. My experience has been that by taking note of the forecasts I am able to side step or minimize the negative tendencies be it health, relationships or finance and make the most of the positives. In the Chinese astrology, the tiger is one of the most dynamic and powerful signs. Its nature is unpredictable, courageous and volatile. Therefore the year of the Tiger is usually associated with big changes and social turmoil. 2010 is likely to be a volatile one both globally and personally. However those who gain an understanding of it through this article and their own spiritual awareness shall have the flexibility to adapt to the changes and keep a steady hand on the keel through rough waters. 2010 is a year represented by the elements of metal and wood in the Chinese calendar. The elemental interaction is symbolized by an ax cutting down a tree. What this means is a potential for more conflicts on the world�s political stage. It is a more combustible year resulting in increased military engagements so then it comes as no surprise that the troop surge for Afghanistan will take place and that the threats from North Korea and Iran may continue to escalate. It is therefore critical for leaders of the world to exercise calmness when dealing with confrontations and seek peace and harmony as the ultimate objective in any interaction. Dogged by worldwide recession countries will continue to wrestle each other over protectionist policies enacted in response to weakened domestic economies. 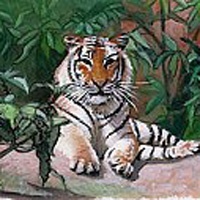 In 2010 the economies around the world should stabilize and improve, with more optimism from the Tiger. The conflicting dynamics of the metal and wood elements shall spark more volatile times ahead for both the economy and the stock market. Industries favorable for an upturn include precious metals, finance, entertainment, energy, defense industry, high tech, engineering, machinery, cars and airlines. Sectors like banking, insurance and mining will see more stability and investments. Challenging industries that may lag include wood products, paper, newspaper and magazines, fashion, textile, furniture, property development and forestry as well as ocean shipping, transportation and communications. Environmentally 2010 may be challenged with extremes like hot weather and droughts as well as flooding with more man-made damages or natural disasters to the environment. Possible environmental disasters may include nuclear accidents, earthquake and volcanic eruption. Evidence of global warming will become more obvious as leaders of industries and countries try to hammer out agreements to reduce greenhouse gas emissions. On the health front metal represents the lungs, colon, skin and the immune system therefore this means that you may be much more predisposed to developing conditions like sinus allergies, infections, asthma, bronchitis, pneumonia, colitis, irritable bowl syndrome, diarrhea, constipation, rashes, compromised immunity or autoimmune inflammatory conditions such as lupus, rheumatoid arthritis and eczema. Wood element corresponds to liver, gall bladder and the nervous system, which may lead to increased stress and tension, depression, anxiety, gallstones, hepatitis and cirrhosis. I would advise you to work on preventing developing conditions of the immune, respiratory, digestive and the nervous systems by regular exercise, proper diet, effective stress management, and the use of herbal and nutritional supplements. Consistent and regular exercise strengthens your respiratory and cardiovascular systems. I recommend learning and practicing mind-body exercises like tai chi or qigong that engages deep breathing to help make your lungs stronger with the added benefit of reducing stress and tension by lowering your stress hormones. Incorporating functional foods that possess healing properties into your diet can help you avoid illnesses. This is the foundation of Chinese medicine. I would suggest increasing your intake of the following foods: dill, oregano, cilantro, rosemary, sage, peppermint, turmeric, basil, coriander, fennel, anise, cardamom, ginger, collard greens, Swiss chard, kale, mustard greens, parsley, dandelion greens, daikon radish, turnip, beets, artichoke, pear especially Asian pear, persimmon, papaya, pineapple, cherry, grape, blueberry, almond, pine nut, and flax seeds while avoiding dairy, alcohol, caffeine, sugar, wheat, deep fried and fatty foods, processed and refined foods, excessive red meat, tomato, eggplants, peppers and potato. Being proactive also includes using herbal and nutritional supplements appropriately to support your health and wellness. I have considered herbs and nutrients as part of my family�s diet and have used them effectively for prevention for many years. I plan on taking perpetual shield to boost my immune system, allergy tamer to deal with pollution and pollen, internal cleanse to assist my liver in detoxification and exquisite skin to keep my colon clean and therefore my skin clear. These formulas contain Chinese herbs such as astragalus, magnolia, chrysanthemum, Chinese peony and others to support the health of my organ functions. In addition, I will make sure to maintain my intake of fish oil, probiotics, digestive enzyme and our own whole food liquid multi-vitamin supplement to round out my nutritional program. In summary, the Year of the Tiger will bring about more change, even turmoil in the world and in your life. However by using this as an opportunity to shape your life, like sculpting a beautiful and useful object out of raw wood or molding from metal you can ride the tiger triumphantly towards your goals. Cultivate patience, kindness and peace so that your interactions with others can promote harmony and love. Take walks and get out in nature to refresh your lungs and undertake cleansing and detoxification programs at the start and throughout the year to support your liver and peak body functions. Eat well and get plenty of sleep and cultivate health in the five areas of your life�body, mind, spirit, finance and relationships so that you can manifest balance, wellness and fulfillment in 2010. Dr. Maoshing Ni (Dr. Mao, as he is known by his patients and students) is a 38th-generation doctor of Chinese medicine and an authority in the field of Taoist anti-aging medicine. After receiving two doctorate degrees and completing his Ph.D. dissertation on nutrition, Dr. Mao did his postgraduate work at Shanghai Medical University�s affiliated hospitals and began his 20-year study of centenarians of China. Dr. Mao returned to Los Angeles in 1985 and has since focused on Taoist anti-aging therapeutics at his Tao of Wellness Center.